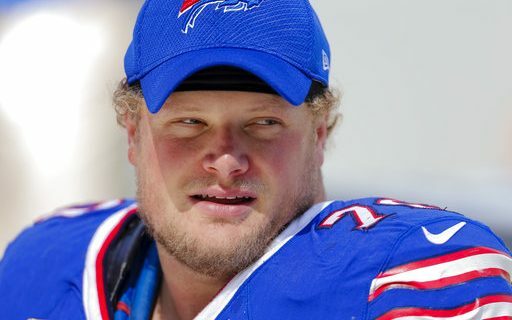 It was supposed to be a lovefest for Eric Wood. The Ad Pro Sports Fieldhouse is only used to say goodbye to beloved players. Former teammates like Ryan Fitzpatrick and Kraig Urbik flew in for the event. There would be funny stories, tears and memories. Instead, there was silence. Then waiting. More waiting. Suspicion. Curiosity. Then, Eric Wood appeared. No family members on the stage. No Bills front office members on the stage. Wood looked annoyed, even angry. He read a statement that lasted one minute and 25 seconds. He never used the word retirement. He left the stage, and didn’t take any questions. No love. No memories. No stories. Just questions, none of which were answered. Only the Bills could hold a media event designed to answer questions, and create one that left more questions unanswered. 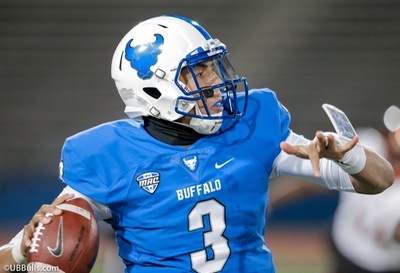 Here’s an attempt to sort through what happened on One Bills Drive. Injury: Wood said the injury first appeared as a stinger in Week 5 vs. Bengals. He said there was another stinger the next week, which followed the bye and came in Week 6 vs. Bucs. Diagnosis: Wood said an exit physical at the end of the season prompted an MRI of his neck. It revealed the injury in the C2/C3 vertebra near his spine. That led Bills team doctor Andrew Cappuccino to tell Wood he would not be cleared to play. Retirement: Wood never used the word. This could have been calculated, and have an impact on the Bills salary cap. Timing: Wood may have misspoke. But he referenced knowing about the career-ending injury days BEFORE his first career playoff game. That contradicts what was said about Wood learning of the situation after the season. Roster Status: Wood said he remains on the roster. Tied to the lack of the word retirement, this could be for strategic purposes about his status related to the salary cap. Medical Tests: Wood said he had an X-Ray after the dual stingers in October. But an MRI wasn’t done until after the season. It was the MRI that revealed the condition. The root of whatever annoyed Wood and led to this embarrassing display can likely be traced to one thing: Money. Beane said the NFLPA and NFL Management Council were involved in the situation. He also said Wood’s agent was involved in a phone call that delayed the news conference. Another report from the Associated Press hinted at a dispute over Wood’s signing bonus money. Teams can attempt to take back bonus money if a contract is suddenly ended, but it usually doesn’t happen over an injury. Could there be a dispute over the nature of the injury? It seems clear that it’s football-related. But maybe not. Mike Ginnitti of Spotrac.com suggests that the Bills may want Wood to hold off on any official retirement declaration, so the approximately $10 million dollars in dead cap space doesn’t accelerate onto their 2018 cap. To do that, Wood would have to hold off until June 1. Maybe he doesn’t want to, or maybe there are some financial ramifications to that maneuver. That may mean the earliest an official retirement could happen is the start of the new league year in March. The hints at agents, player unions and NFL Management Council tell me this was all about money and contracts. The Bills are trying to do what benefits them the best. Wood is looking out for himself. Either way, it was a bad look for a beloved player who was supposed to have his moment to ride off into the sunset. There’s no excuse for not having this worked out before the event was scheduled. The Bills, not Wood, look bad. If there were questions, then reschedule the event. Public perception is always the determining factor. Just ask Doug Whaley. Even if none of this was the Bills fault, they failed their fans and they made Wood look bad. Not exactly the right way to stay goodbye.